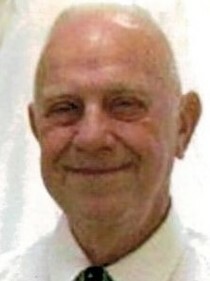 John Taylor Byard, 84 of Martinsville, IN. passed away on Sunday, May 22, 2016 at his residence. John was born on August 22, 1931 in Trenton, New Jersey, the son of David Byard and Anna E. Taylor Byard. He was preceded in death by his parents, also a sister, Roselynn Byard Allen and two nephews. He attended New Testament Baptist Church in Martinsville, IN; he was a member of the United States Navy and served during the Korean War. John was a special education teacher and worked at State Boys School in New Jersey for 20 years. Survivors include his wife of 56 years, Kathleen Morris Byard whom he married on August 16, 1959, two daughters, Mary Anne Astleford (Bret) of Martinsville, IN and Melody Byard of Martinsville, IN., three grandchildren Robert Astleford (Christy), Matthew Astleford, and Daniel Astleford (Johana) and one great-grandchild, Claire Ann Astleford, a niece Janice Papedo. Funeral services will be held at Newkirk’s Funeral Home in Dugger, IN Saturday, May 28, 2016 at 1:00 PM with the Pastor Larry Hesskett. Visitation will be from 5:00 PM until 8:00 PM Friday. Interment will follow in the Mt Moriah Cemetery. There will be a military graveside rites by the Dugger, Sullivan, Shelburn, and Hymera Legion Posts and the Sullivan V.F.W.